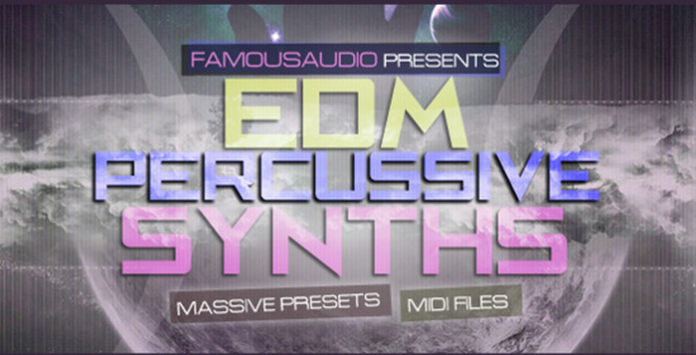 Famous Audio is proud to present our latest release “EDM Percussive Synths: Massive Presets” loaded with 40 freshest presets and 20 powerful midi files designed with huge festival drops in mind. The collection contains 40 synths intricately created for those festival-smashing drops! Each preset sound has been crafted with meticulous attention to detail, and comes complete with Macro controls for easy sound manipulation. They can be used with Massive 1.3.0 or higher. Try to be more creative with this pack and learn the new possibilities of your fav. VSTi! Also included are Midi files of most of the synth presets which were used in the demo for extra flexibility. “EDM Percussive Synths” comes with the fattest drops and sharpest NI Massive presets for your next hit. This unique and high quality selection of sounds has been engineered ready to fit straight in your tracks. All presets were inspired by some of the top producers of the world such as Tiesto, W&W, Hardwell, Avicii, Nicky Romero, Showtek, Martin Garrix and other top producers of the EDM scene. Whether you’re producing EDM, Big Room, Progressive House, Electro House or House you are sure to find inspiration in this pack..